If you manage rental property in Atlanta, the last thing you want is a problematic tenant. Hence, you should evaluate each prospective renter to assess whether or not they merit to occupy your property. The assessment, known as tenant screening, serves to identify high-quality tenants who will adhere to the lease agreement terms, can afford to pay the rent promptly, and will take good care of your rental assets. Contrary to popular belief, tenant screening is not a flippant onetime exercise. It is a continuous process that starts from the time you advertise the vacant house and goes on until you find a suitable renter. The process involves a series of activities that dig into the applicant’s background to reveal who they truly are. It means asking the prospective candidates for personal information, which you will later look into, as well as examining external information such as appearance, personal traits and so on, about the applicant. When vetting candidates, you first need to determine what your definition of a good tenant is. For instance, you could specify that an applicant’s income should be at least a third of the monthly rent, the tenant must provide credible quality references, and that he or she should have no eviction records. Naturally, the definition of a quality renter differs from one landlord to another. Nonetheless, the following are desirable traits in a tenant. Has a lower stress quotient. Once the information about your vacant property becomes public, you will start getting inquiries. However, not all those asking about the assets qualify to occupy it. Instead of wasting valuable time screening or showing the units to everyone, communicate to them upfront what the property features, location, size, price and your minimum standards are. You can effectively accomplish that through your vacancy marketing or advertisements media, or by informing them on the phone. 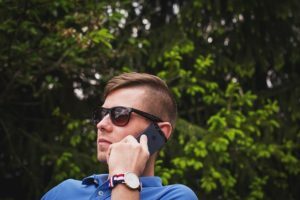 If a prospect makes a telephone inquiry, the tone, as well as the kind of questions they ask, can point out to the kind of tenant they will be. Furthermore, when prospects turn up to view your property, observe their attitude, punctuality as well as personality. In most cases, the pre-screening will help you weed out at least more than fifty percent of time wasters. After pre-screening the potential renters, you need to vet further those that passed. The best approach is to ask them to proceed and fill the application form, which captures the following personal, yet critical data. You should request the candidate to provide his or her full legal names, ID, Driver’s license number, telephone number, physical address, Social Security and Date of birth. The applicant should provide the names, addresses, phone numbers, and contact information of his or her present and previous landlords. Ascertain the applicant’s source of income, are they employed or self-employed? In each case, he or she must provide credible job details such as nature of business, the company name, his or her designation as well as the firm’s contact information. If the applicant has any previous evictions, broken leases or judgments, they should state so here. Lastly, the application must obtain the applicant’s consent to gather information from other sources, with the intention of verifying the information the potential renter provided. After the candidates have filled the application, you need to investigate them to determine whether the information is truthful and if the client satisfies your high-quality tenant standards. You can ascertain the credibility of the information through background and credit checks. 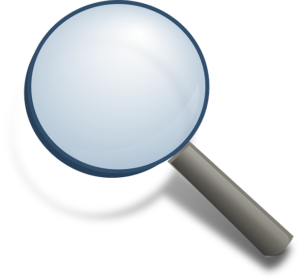 The background investigation will help unearth a tenant’s current and former addresses, as well as public records, criminal, eviction, fraud, or deception history. Credit checks, on the other hand, reveals the renter’s ability to pay bills and meet financial obligations. Such includes credit score, closed or open credit cards, monetary judgments, late payments, defaults, car payments, vehicle repossessions and so on. Next, you need to carry out a previous landlord verification, which acts on the premise that tenants tend to repeat past behaviors. For this reason, call the applicant’s current and two previous owners to inquire how their relationship with your prospective renter is. Did they pay rent promptly, did they get along with the neighbors, did they take good care of the property, and so on. High chances are you will discover a lot of critical information. It goes without saying that you need to ascertain your tenant’s source of income and ability to pay. Take the time and call the applicant’s supervisor or HR manager to verify the details. While at it, find out how long the applicant has been their employee, how much he or she earns, how stable is the position i.e. Is it part time or full time, contractual, and so on? In the event the applicant is self-employed, you can use his or her tax returns to verify their income. Depending on the feedback you get after screening the candidate, you can determine whether he or she is a perfect match for your high-quality tenant needs. 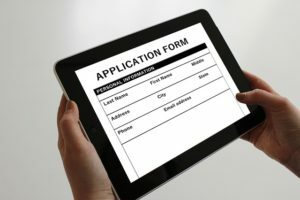 If an applicant pleases you, go ahead and approve them. But if they do not, deny the application and inform them why. Although the above steps can help an Atlanta landlord or manager to successfully screen renters, enlisting an experienced Atlanta Property Management company to assist you with the screening, will prove useful. The manager has the right skills and resources to ensure a satisfying tenant screening exercise, which does not violate the Federal Fair Housing Laws.